Фото "as time goes by"
Great portrait and excellent light, congrats Rui !! Everything is perfect - colors, details and composition! Oh, la, la!! One portrait! And what class it is! Beautiful image. In the same way that you are allways produced. It is the wonderful realistic portrait ! 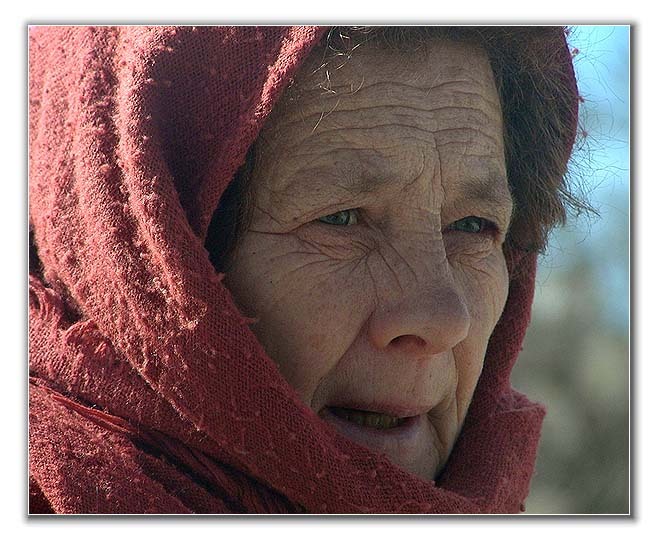 Excellent portrait of a portuguese country woman. I just wish there was slightly -- slightly! -- more illumination on her face. Still, a pretty remarkable picture. Great portrait! A very beautiful work. Good framing and good light. A nice and well done photograph. My congratulations, my dear Rui.